Whether you’re using drones to build heat maps on farms or 3D models for construction sites, companies are seeing the benefit of capturing aerial data—and now it’s time to scale. The challenge: How do you piece together all of those tools and processes to create one safe, standardized, efficient workflow that spans across an entire organization, including numerous jurisdictions and use cases? And how do you go from managing a couple of pilots in one locality to dozens of pilots all across the globe? Ray oversees the Skyward product portfolio definition and subsequent delivery by Skyward’s exceptional engineering teams. Ray’s team of user experience, GIS, and product management specialists bring critical skills and knowledge together to deliver industry leading products. Ray holds a BS of Electrical Engineering from the University of Alabama at Birmingham. He also holds 6 US patents covering electromagnetic interference mitigation techniques and digital circuit synchronization. He is passionate about his dogs and dog-centric charities. 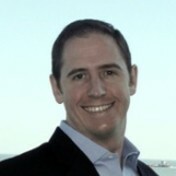 Landon is an accomplished aviator and an experienced operational manager. 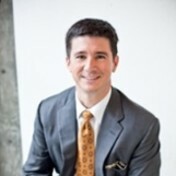 In his role as Chief Operating Officer, Landon manages a team of professional aviators and scientists conducting aerial data collection and data analytics for the oil and gas industry while also serving as a UAV consultant for a Fortune 500 company. He also served as an A-10 and AT-38 instructor pilot in the United States Air Force and was awarded the General Eugene L. Eubank Award by the Fraternal Order of Daedalians for outstanding flight instruction. 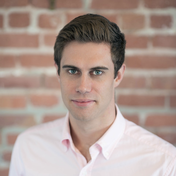 James Pipe is the Product Manager at DroneDeploy. James has seven years experience designing and building software as a service products for enterprise, SMB, and Government customers. Having trouble watching the video? The product features discussed and shown in this Webinar do not necessarily represent the currently available features or pricing plan structure of the DroneDeploy software platform. See pricing for more details.